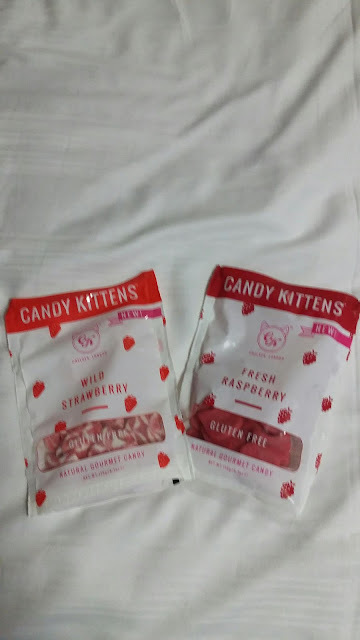 I've recently come across the brand of sweets Candy Kittens. These gummy candy come in a range of delectable flavours ranging from the kind of more ordinary wild strawberry to the more unordinary eton mess. But best of all they are gluten-free. If you have a sweet tooth you could easily get through a packet in one day, but I would advise to pace yourself for the sake of your health and for the sake of your purse. In Topshop these sweets cost £3.50- not the cheapest sweet treats. However, I think I have seen them in Sainsbury's for cheaper, and I think the packet wasn't any smaller. Speaking of the packet, away from it being quite cool and retro it's reseelable which helps contain the flavour and reminds you not to get carried away but save some for later!